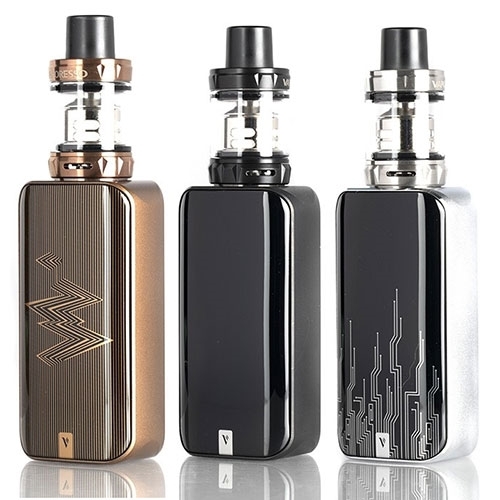 The Vaporesso LUXE NANO 80W TC Mod Starter Kit lives up to all the expectations of its predecessor in a more compact form factor. The Luxe Nano is an elegant and uniquely designed touchscreen vape mod that delivers 80W power output using a 2500mAH internal battery with advanced features like haptic feedback and acustomized curvature of wattage, customized curvature of voltage, variable wattage settings, smart variable wattage, and Super Player Mode. Super Player Mode allows the device to adapt to mainstream tanks and rebuildable atomizers, ensuring that the user experience is never dull. The LUXE NONO's ample 1.3” full-view TFT screen with touch interface blends into the panel with smooth beveled edges with a much wider and space to play with edge to edge coverage and gives the device a unique and classy look that just feels good in your hand. The attention to fit and finish make it look and feel like a much more expensive vaping device. The Insta-Fire technology you've come to know and love delivers 0.001s firing rate. Powering the Vaporesso LUXE Mod is the most advanced OMNI-Board 4.0 chipset with 2.5A ultrafast charge technology and is the perfect engine for this sophisticated cloud machine. This exquisite Mod kit is paired with the innovative SKRR-S Mini Tank, which holds 3.5ml of your favorite e juice, along with many more notable features. Inside the SKRR-S is the QF coil family; The QF Coil Family Consists of the QF Meshed coil head (contains Flax Fiber and Cotton), measuring at 0.2 ohm and rated at 55 to 85W (recommended at 65 to 75W), the QF Strip coil head (contains Flax Fiber and Cotton) measuring at 0.15 ohm and rated at 50 to 80W (recommended at 65 to 75W). Other coils that are compatible with the SKRR-S is the ever loved Vaporesso GT Coil Family. 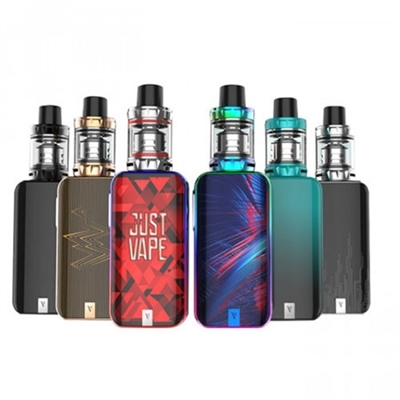 Vaporesso's LUXE NANO 80W TC Starter Kit combines the OMNI Board 4.0, a futuristic chassis design, and their SKRR-S Mini Sub-Ohm Tank into one highly affordable and versatile kit on the market. Vapresso is known for their innovative and high quality with styling features that are as individual as you are. You would be hard pressed to find a better mod at twist the price.r a rapid and even heating, rated for 55 to 85W and bast at 65 to 75W. The SKRR Sub-Ohm Tank has dual adjustable bottom airflow that is fully closeable, an extra heating insulation layer, and a proprietary 14mm bore delrin mesh drip tip that prevents spit back. Vaporesso's LUXE 220W TC Starter Kit combines the OMNI Board 4.0, a futuristic chassis design, and their SKRR Sub-Ohm Tank into one highly affordable and versatile kit on the market. Vapresso is known for their innovative and high quality with styling features that are as individual as you are. You would be hard pressed to find a better mod at twist the price. The Vaporesso LUXE NANO 80W TC Mod Starter Kit lives up to all the expectations of its predecessor in a more compact form factor. The Luxe Nano is an elegant and uniquely designed touchscreen vape mod that delivers 80W power output using a 2500mAH internal battery with advanced features like haptic feedback and acustomized curvature of wattage, customized curvature of voltage, variable wattage settings, smart variable wattage, and Super Player Mode. Super Player Mode allows the device to adapt to mainstream tanks and rebuildable atomizers, ensuring that the user experience is never dull. The LUXE NANO's ample 1.3” full-view TFT screen with touch interface blends into the panel with smooth beveled edges with a much wider and space to play with edge to edge coverage and gives the device a unique and classy look that just feels good in your hand. The attention to fit and finish make it look and feel like a much more expensive vaping device. The Insta-Fire technology you've come to know and love delivers 0.001s firing rate. Powering the Vaporesso LUXE Mod is the most advanced OMNI-Board 4.0 chipset with 2.5A ultrafast charge technology and is the perfect engine for this sophisticated cloud machine. This exquisite Mod kit is paired with the innovative SKRR-S Mini Tank, which holds 3.5ml of your favorite e juice, along with many more notable features. Inside the SKRR-S is the QF coil family; The QF Coil Family Consists of the QF Meshed coil head (contains Flax Fiber and Cotton), measuring at 0.2 ohm and rated at 55 to 85W (recommended at 65 to 75W), the QF Strip coil head (contains Flax Fiber and Cotton) measuring at 0.15 ohm and rated at 50 to 80W (recommended at 65 to 75W). Other coils that are compatible with the SKRR-S is the ever loved Vaporesso GT Coil Family. 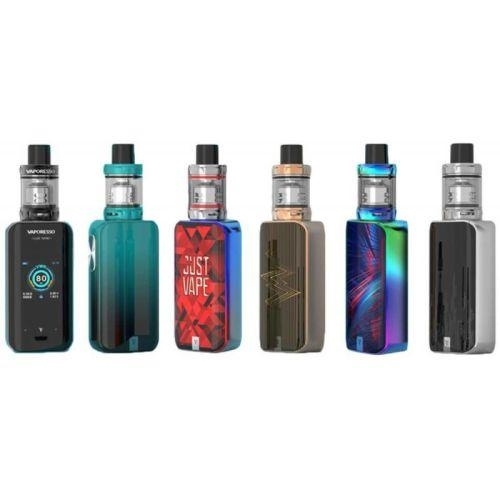 Vaporesso's LUXE NANO 80W TC Starter Kit combines the OMNI Board 4.0, a futuristic chassis design, and their SKRR-S Mini Sub-Ohm Tank into one highly affordable and versatile kit on the market. Vapresso is known for their innovative and high quality with styling features that are as individual as you are. You would be hard pressed to find a better mod at twist the price.